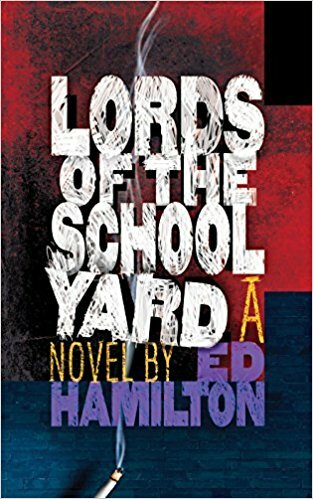 As for Lords of the Schoolyards relation to my first two books: the Chelsea Hotel of Legends of the Chelsea Hotel is a world unto itself, a secret society for sure—or a whole bunch of them, for who knows what’s hidden behind that weirdly painted door at the end of that dark, forbidding corridor? 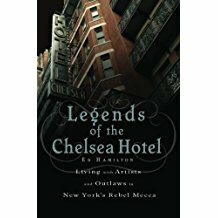 It’s a place where different rules apply and where deviance is a badge of honor. Creativity is valued above all, as artists, writers and musicians are the stars. And even junkies and schizophrenics rank higher than lawyers and business men —though anybody with money is certainly tolerated by the starving artists, that’s for sure! 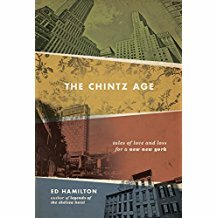 And regarding the characters in The Chintz Age, their comfortable subcultures are collapsing as the city gentrifies, they’re being evicted from their apartments and shops, and they’re struggling to carve out a niche for themselves where they can remain relevant (or at least remain in New York) as they ride out the onrushing societal juggernaut. Read the full interview here.